Discipleship.org is a collaborative community of men and women committed to the discipleship lifestyle – being disciples of Jesus and making disciples of Jesus. Discipleship.org brings together and promotes leading voices, resources, and actionable content on discipleship. With the input and partnership of voices like Jim Putman, Robert Coleman, Bill Hull, Francis Chan, KP Yohannan, Alan Hirsch, and Jeff Vanderstelt, among others, we have identified six key elements of a discipleship lifestyle as a framework. We seek to move people convinced about discipleship into this framework and out into effective practice. Discipleship.org champions simple, reproducible practices that make discipleship a practical reality. 1. We believe Jesus Christ is central to life and the Bible – He is supreme and worthy of all devotion, worship, and emulation. We affirm the Nicene Creed and its statements about Jesus and the Trinity (Col. 1:15-20). 2. Our definition of discipleship (and disciple making) is – helping people to trust and follow Jesus (Matt. 28:18–20). 3. Our definition of a disciple is – a person who is following Jesus, being changed by Jesus, and is committed to the mission of Jesus (Matt. 4:19). This is only possible by the Holy Spirit. 4. We believe disciple making is the core mission of the local church (Col.1: 28-29). 5. We believe the Bible is the authoritative, reliable and final guide for discipleship and life (2 Tim. 3:16-4:2). 6. We believe Jesus’ method of disciple making is the wisest and best method to follow today (Luke 6:40). 7. We believe our love for one another is both the foundation and the most important sign of true discipleship (John 13:34-35). 8. We believe discipleship includes serving the poor, striving for holiness and living with accountability in the local church (1 Cor. 5: 1-13). 9. We believe true discipleship and love compel us to join Jesus’ mission to seek and save the lost (Luke 19:10). 10. We believe our obedience to the Great Commission will result in the expansion of God’s Kingdom, the betterment of humanity and God’s exaltation and pleasure (Luke 19:11-27). Jesus - Jesus is the original disciple maker and centerpiece of discipleship. Our goal is to know, treasure and promote Him. Intentionality - To make disciples, we utilize strategy and a roadmap for those we are discipling. Relationships - Discipleship happens best in the context of genuine life- on-life connections grounded in Christlike love. Bible - The Word of God is the manual for making disciples. The Bible is living and active. By it we encounter Jesus and learn to form our lives around Him. Journey - There is a traceable, but sometimes disjointed, growth story from the new birth to spiritual parenthood where the Holy Spirit leads us on a shared, formative journey. Multiply - Authentic discipleship repeats and multiplies, where the disciple becomes a disciple maker, reproducing the discipleship process. Replicate Ministries was founded by Robby Gallaty, Senior Pastor of Long Hollow Baptist Church in Hendersonville, Tennessee. Replicate exists to equip, educate, and empower the local church to make disciples. We do this through sound Biblical methods for training and replicating disciples. These methods have proven to be effective when implemented in the local church. In the last decade, these intentional disciple-making strategies have shown to develop mature followers in our context. It is the team’s desire to share our passion for replicating disciples with other church leaders. The C.S. Lewis Institute was founded in 1976 and endeavors, in the legacy of C.S. Lewis, to develop disciples who will articulate, defend and live their faith in Christ in personal and public life. From its inception, the Institute has been inter-denominational, has worked closely with a variety of churches and sees itself as a servant ministry, assisting churches and pastors in making disciples of Jesus Christ. This takes the form of discipleship programs, area-wide conferences/ seminars, pastor fellowships and resources in print and on the web. Founded by Dann Spader, Walking as Jesus Walked is a resource for small groups or individuals who have a desire to study the life of Christ and go deeper in understanding what the Scriptures mean in 1 John 2:6 when it says, "Whoever claims to live in Him must walk as Jesus did." This resource has been developed as a 10-12 week study, but can be adapted to a longer time frame, depending on the needs and interests of the group. Missio is a treasure trove of missional resources for those who long to live a life of incarnational discipleship. This site was founded by Pastor and author, Hugh Halter. Dietrich Bonhoeffer famously said, “Christianity without discipleship is always Christianity without Christ.” You may know him best for his book, The Cost of Discipleship. 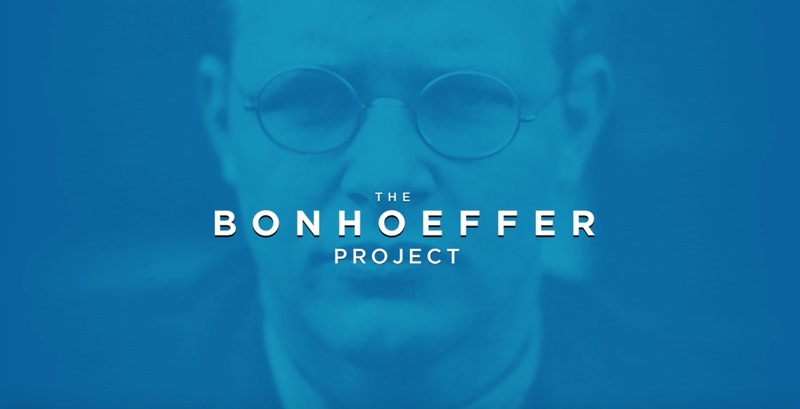 Bonhoeffer was a professor, a pastor, a spy, and finally, a martyr. He believed that unless one followed Christ in a serious fashion, it was to cheapen the grace of God. The project is not a building with a staff. It is an idea, something patterned after Bonhoeffer's Grand Experiment. From 1935-1940, he trained pastors in an illegal seminary. The students were instructed first and foremost in discipleship. The idea is simple: eight to ten people spend a year together studying, discussing, and doing discipleship. It will meet ten times at a once-a-month pace (taking some time off around Christmas and Easter). Participants will read, discuss, debate, plan, strategize, and do a bit of life together. This site is the home base of Bill Hull Ministries and is loaded with valuable resources for anyone interested in becoming a disciple maker. Bill’s passion is to help the church return to its disciple making roots and he considers himself a discipleship evangelist. This God-given desire has manifested itself in 20 of pastoring and the authorship of many books. Two of his more important books, Jesus Christ Disciple Maker, and The Disciple Making Pastor, have both celebrated 20 years in print. Add his third in the popular trilogy, The Disciple Making Church, and you have a new paradigm for disciple making. His latest book, Conversion and Discipleship: You Can't Have One Without the Other, is the foundational material for The Bonhoeffer Project, that Bill has co-founded with Brandon Cox. WHY WAS THE RDN CREATED?The RDN was created due to a large-scale demand from church leaders across the world that needed help in becoming a disciple making church. To help churches become disciple making churches and plant disciple making churches. Our network provides solutions to the two biggest struggles churches and church leaders face today: A lack of practical understanding of how to use Jesus’ method for making disciples at all levels of the local church and relational isolation. The RDN network is based upon a set body of beliefs, knowledge, and wisdom, which we call our DNA. We believe the best way to help other leaders live this out is through collaboration and relationships found in a network. The Missional Challenge is a blog by Dave DeVries focused upon: aligning every believer with the redemptive mission of Jesus! to seize Christ's mission as your own! to repeatedly give every man, woman, and child in your neighborhood the opportunity to hear and understand the good news of Jesus Christ! to incarnate the gospel wherever you are! to be Jesus to everyone around you! to exegete the culture in order to communicate the gospel effectively! to embody the mission and message of Jesus in your life! to plant the gospel in the culture! to demonstrate and declare your hope in Jesus everywhere! to multiply disciples who multiply disciples who multiply disciples! to proclaim the never-changing gospel message to an ever-changing cultural audience! to establish relationships with unbelievers and influence them towards a saving relationship with Christ and His Church! to embrace a commitment to reach a specific geographic area with the reconciling love of Jesus! to intentionally focus your personal activities and resources toward redemptive relationships! to motivate and mobilize other Christians to join in the mission of Jesus! to orient everything you are doing around the agenda of Christ's redemptive mission! The Mission Society exists to mobilize and deploy the body of Christ globally to join Jesus in His mission, especially among the least-reached peoples. ​Exponential is a growing community of leaders committed to accelerating the multiplication of healthy, reproducing faith communities. We champion church multiplication and equip church multipliers as we seek to help move the needle on multiplication from less than 1% of churches actively reproducing to greater than 10%! This site offers an abundance of free materials to those interested in church planting and making disciple makers. Seedbed is a gospel-farming community of like-hearted, like-minded men and women who stand in the stream of the great orthodox tradition of the faith once delivered to the saints. We are heirs of the Wesleyan/Arminian theological vision for mission, and we long to see this way of being and doing church thrive again in our day. Seedbed is a movement catalyst, a talent scout, a tribe-uniter, and a creative developer of discipleship resources for the twenty-first century Church. Seedbed resources people, communities, and movements to love the whole world with the whole gospel. To this end, and in all these ways, we are sowing together for a great awakening. That’s what we at Seedbed want to say to you in a slightly less King James way. If your heart is as our heart, give us your hand. So what’s our heart? Our heart is to sow the whole Gospel. It’s the truth that God doesn’t just save people from the penalty of sin. This is only the beginning. God saves people from the power of sin, from the depths of depression, from the abyss of addiction, from self absorption and all the seductions of self deception. The whole Gospel is the unlimited power of God to make all things new. Our heart is to re-source the Global Christian Movement—not a particular church or denomination or institution—we are part of the global tribe of the Wesleyan Tradition: Followers of Jesus who aspire to extravagantly sow the whole Gospel; who long to be and to see a rising up of real Christians distinguished by holy love alone. We’re gathering people, convening conversations, curating content, publishing articles, books, bible studies, discipleship curriculums, video resources, podcasts and we may even turn out a record or two before its all said and done. After all, how could anything be Wesleyan without a sound track? Because we have come to believe this tried and true way of discipleship is the most comprehensive scriptural vision and the most extravagant transformational expression of the Gospel in the history of the Church so far. A lot more on that to come. We are not in this for a passing revival. We are convinced that only the seeds of the whole Gospel hold the harvest of a sustained great awakening. Only the seeds of the whole Gospel possess the potential for a Renaissance of Scriptural Holiness to sweep across the continents. Is your heart as our heart? If so, please give us your hand. Our vision is to CHANGE the world by putting DISCIPLESHIP and MISSION back into the hands of everyday people. 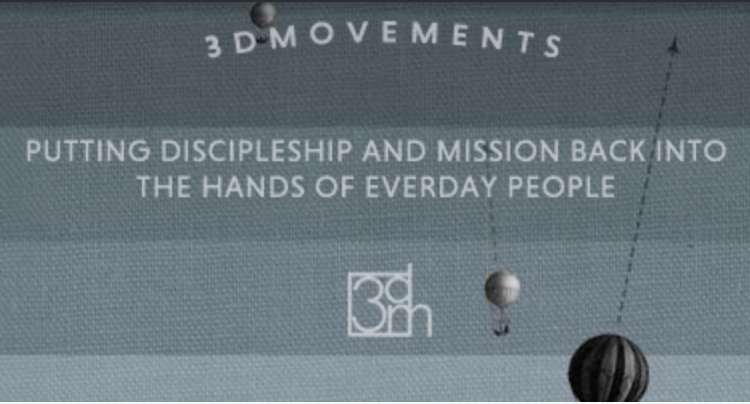 ​3D Movements is a global movement made up of leaders, church leaders and lay leaders from across the globe. God is moving in many tribes and in many different ways and we continue to work alongside these leaders to put discipleship and mission back in the hands of ordinary people.